What Shows That You’re a Good Drone Pilot? 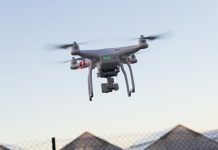 Basically, drones have been used rampantly in various industries across the globe. The most recent victim of drones is the entertainment industry like in music and movie production and in the overall video shooting. Thanks to the technological advancement in place that is making the drones dominate the market. If you got a great interest in drones this is the right time to purchase one because their cost is favorable and you are going to see those drones that cost less than $200 in the reviews which you can opt to purchase to get to the new revolution of drones. Licensing has also become very easy so you will not have so many hassles. But basically, where do you start? 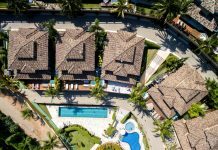 Well, these tips will keep you updated and on your feet to go drone as an experienced pilot in the air. Just continue reading. The market has many options that can confuse you if you are not right in your taste and preferences. After you have known the kind of drone you want, you should know the use of your drone. Is it for shooting aerial snaps, videos or just to give you an aerial view of your locality? There are a dozen questions you need to ask yourself in order to narrow down into the right drone that suits your need. Now that you are aware of the basic idea of the kind of drone you want, you need to have some little knowledge on one of the most important letters that are the common alphabets in drone work. The letters are RTF meaning Ready To Fly. This means you are now ready to go aerial and you have all you need to make it to the air right in the box. Why do you have to learn about this letters? Because not all drones have all the equipment in the box; some may need you to buy some additional equipment to get started. Well, like any other expertise, you need to keep practicing so as to ensure you become perfect. The main principle that you should follow when it comes to practicing as a beginner is that you should always fly it low and slow. As long as you want to become a good pilot, you need to practice that’s a fact. As with any other machine, unexpected usually happens thus spicing the joy in flying the drone. Mostly the drones may have some motor destroyed because of the many hours you fly it when practicing. It is better you have the spare parts than being sorry when the drone fall from the sky when a malfunction has occurred. Before you fly your drone, ensure you are away of the laws that govern these devices. You should be updated with the new laws and rules in your locality, state or country. After all, you don’t have to be in cell or court answering guilt for flying your drone. Planning has always been a major factor in ensuring you get the success you want in everything you do. 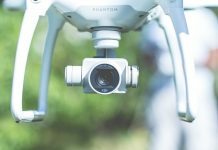 When it comes to planning, whether you are a pro, a newbie or just a premium pilot, you need to plan on the activities to do with your drone each time you’re flying. This means having ready your spare parts before starting to fly. After having those tips in your mind, the verdict here is that you must ensure safety is your aim. Despite the fun and excitement that comes along with flying these devices, don’t forget to maintain the rules and laws set. Some safety issues are just straightforward and actually, you don’t need a manual to know them. For example, you don’t have to be told not to fly around an airport that’s obvious; so just keep safe. 2. Not every drone is ready to fly – this is where you need to look very carefully for the acronyms on the box when purchasing. There are RTF – Ready To Fly, BNF – Bind And Fly, and ARF – Almost Ready to Fly. For newbies, RTF is the best, while BNF is well-assembled but don’t have the controllers while ARF requires some assembling before flying them; they don’t come with some transmitters and receive. 3. 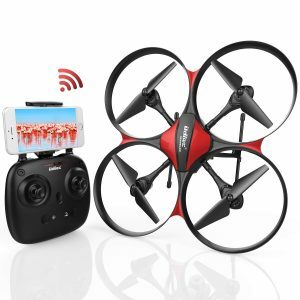 Know where to purchase the drones – there are various outlets where you can buy the drones at favorable prices even below $200. Besides, online stores in various countries are there to enable you have a good drone. But ensure they have all the specifications that conform to your needs. 5. Drones can easily crash – just as they’re easy to fly, they can come done very easily. But you can always avoid crashing by being knowledgeable on the sensors and various controllers. They may crash because they lose signals because they are far away or very high. After having such information, you are on the highway of choosing the right drone. But what are the features to look out for in order to make the right choice? Keep reading. Their Camera – if you want clear photos, views or videos, then you have to check out for the camera specifications. Most of the modern drones have cameras attached to them when buying them but others you can attach the camera you want. Whichever the case, always check the camera resolution. Their battery life – every electronic in form of a phone, needs a battery to function and the last thing you want to see is your drone crashing because of running low in power. That’s why you need an extra battery to prolong your viewing excitement. Their mode – it is better to buy a drone which operates in headless mode rather than using a joystick. Leave joystick for pros and later when you have practiced enough you can try to use joystick modes. Their motors – if you want that drone motor to last longer and operate without making noise, then you can check out for brushless motors. Nevertheless, the devices fitted with these kinds of motors are more costly. Better still you can go for brushed motors but be ready to replace them regularly. GPS integration – this is a modernized feature in drones that enables the machine to recognize where they are and probably locate their home. Besides, it makes the drone more stable making their navigation very easy. Their range – this helps you know how far the device can go from your operating area. But you should always keep in mind that your drone should be at a visible range despite their range levels. 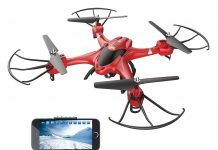 So which are these types of drones that you should go for? Just relax and read on. UAVs are usually designed to operate depending on their capabilities which are mostly determined by the strength of the motors. Drones come in various designs, shapes, and sizes. Just have a look at the various types of UAVs and the mode that is used to classify them. 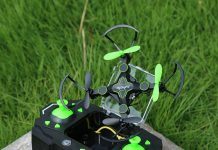 Depending on the number of their propellers – in this category, we have various types of drones like a single rotor, tricopter, quadcopter, hexacopter, octocopter, and those with fixed wings. Most of the drones in the market that are purchase regularly are quadcopter because of their capability of lifting heavier weights without various adjustments. Depending on their size – in this category, we have very small drones, mini-drones, medium drones, and large drones. You choose the one appropriate for your use. 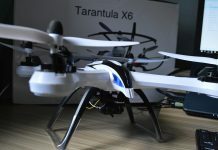 Depending on their range – they are categorized into very close range drones, close-range drones, short-range drones, mid-range drones, and endurance drones. The endurance drones can stay in the air for over 36 hours and over 3000 ft. above sea level. 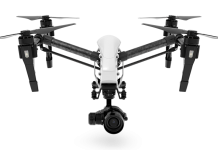 Depending on the type of their equipment – here drones are classified according to the presence of the cameras, FPV (First Person Viewing), GPS, and stabilizers. No matter the kind of drone you get, it will always fall in one of the above features. The beauty is that you don’t have to break your bank to get an awesome drone. With only $200 you can get your video shoot, photos snapped or cute view taken. 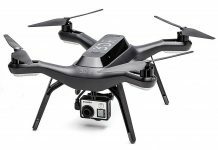 Below are some of the best drones you can get with this amount of dollar or less. Let’s look at them. 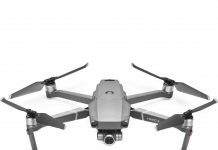 Here is a list of great yet cheaper drones that will meet your need, excitement, and above all provoke a lot of fun. 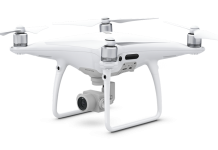 Just like any other drone you need to register it with the required regulatory body. Holy Stone F181W is a quadcopter drone that uses headless mode making it great for newbies. It has 1200FOV Wi-Fi camera that is wide in range and is fitted with the first person viewing (FPV) which offers a 3D flipping. They have very strong batteries and motors, variable speed controls and 6 axis gyros. They contain a controllable LED light, a single key return, and uses one key to enable its taking off and land. 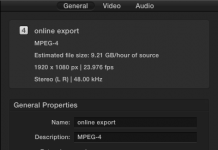 They are 4.9 ounces heavy with recording mode of 1280 x 720p. Holy Stone F181W measures 12.6 x 3.3x 12.6 in its length, height, and width. It has an altitude hold that is automatic so no hassles. Their Lipo battery is 3.7V and 750mAh which have a charging time of around 70-90 minutes with a flying time of at most 10 minutes and at least 7 minutes. Their flying range is 50 to 100 meters. The bottom line is that you are supposed to read the manual properly before flying to avoid any crashes. Remember to use your throttle carefully to avoid damages, let the motor cool for some 10 minutes before taking a consequent flight and always use slower speed modes to avoid losing control especially if you’re a beginner. 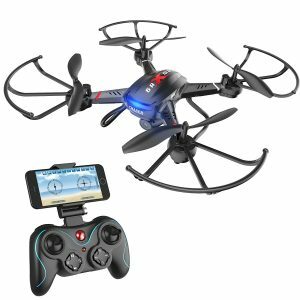 This drone comes with FPV 720P HD camera with adjustable speed modes making it a great device for beginners who can easily control their speed to avoid damages. Besides, it is fitted with headless mode and a single button for its taking off and landing. The battery in this device can easily be removed in case you want to charge or replace and consequently supports long flying. Its 3 flips spice your fun and excitement when flying it. It is fitted with attitude mode and gravity sensor modes which require you to hold your control phone horizontally for gravity purposes. You don’t have to worry about the drone collapse from the air due to the low battery because it will alert you when it is going low. It is great for night flights because of the LED lighting that is designed with. For safety purposes, it is always advisable you charge with that original cable. 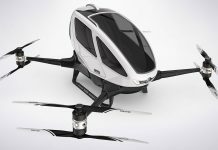 It has an emergency stop which enables pause in flying when the drone gets to an invisible zone. 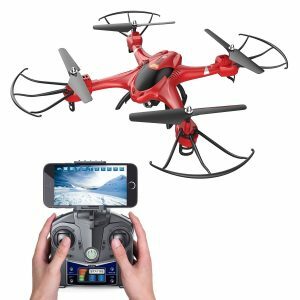 You can operate this drone using a smartphone application and you can always switch it to a 3D mode for a greater experience. It has a weight of 145g and a dimension of 12.6×12.6×4.70 with a playing time of around 10 minutes. 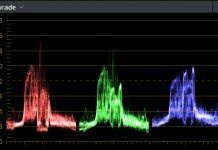 The changing time of the Holy Stone HS110D is 120 minutes and a range of 60m for video and of 100m for the transmitter. Whenever you see the LED light flashing, fly back the device immediately. 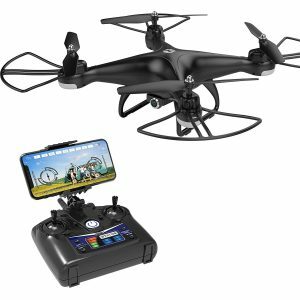 Holy Stone HS200 comes along with FPV that enables you to watch your videos and snaps using an Android smartphone and iOS even when you are flying your drone. It has an attitude hold and therefore even when you release its throttle, the device can still maintain its attitude. In order to active Gravity Sensor mode, you need to use it with the App. Remember to hold your phone horizontally. The beauty of this drone is that you don’t have to take the battery out in order to charge because it is fitted with USB chargers. It also comes with multiple speed adjustments which are appropriate for beginners. To take off or to land the device you just need to press just one button thus no hassles for newbies. Besides, the headless mode in it makes it easier to fly. The LED light makes it very easy for you to fly the drone even at night. It is advisable not to shake the drone when it is flying else you may not like the video and photo footage. Holy Stone HS200 is usually affected by wind so don’t fly it when the wind is strong else you may lose control which may lead to crashing. It is 108g in weight with dimensions of 12.6×12.6×2.6 inches. Its video recording is 1280x720P with a transmission range of around 50m. The transmitter’s range is 50-100m, has a charging time of 60 minutes and at most 9 minutes flying time. Before each flight, ensure the motor cools for around 5 minutes for efficiency and effectiveness. Whenever the drone meets hindrances and somehow gets stuck, press the emergency button immediately. 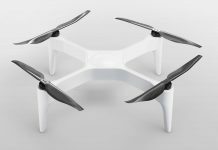 You can fly this awesome device using your iPhone, remote, Android or with a VR headset making it very flexible to take it to the air. You can always capture those amazing videos and photos using the 720P HD camera. You can save the hassle of take-off and landing by just pressing that one button. The 3-speed controls enable you to fly the drone to any height at any speed depending on your expertise and prowess. The beauty of having this device in your hand is the fact that it comes with an extra battery, so no frustrations because you didn’t finish the viewing and footages. It has an attitude hold and its headless mode is great for newbies. 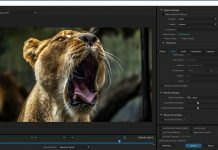 It can last for more than 30 minutes while taking the video. It has a wide angle lensed camera with FOV 120 Degree with a video recording mode of HD1280x720P with 30 Mbps with its video. It has rubber dumping material and an optical anti-shake which is not common in other drones. 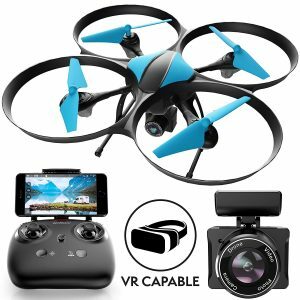 If you’re looking for that device that will take stable photos, VR views, and videos, then this drone is great. With its WIFI FPV, you can access very quality videos right in your mobile phone; all you need is installing an android app that will even give you more fun like Gravity control, 3D VR mode, and Custom Flight mode. Its battery can work for 15 minutes because it is 1,000 mAh which is 7.4 V. the charging time is a maximum of 180 minutes. It is advisable not to charge its battery when its battery has swelled else you may cause damage to your device. After using the drone, never charge that battery directly immediately; give it some time to cool down. In between its flight, give it some cooling time. In its box, you will find a 4GB card for storing the video and photos. 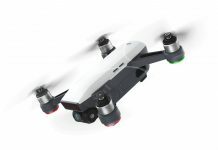 Whether you are looking for an amazing drone that will cover that video shooting or to take stunning photos, now you have a choice to choose from at only $200. Get some fun with one of the above drones. But how are these drones used? Let’s see how they are used. For security purposes – government authorities recently have used these drones for emergency cases and have used it to protect its people. They have been used to collect sensitive information. For inspections – there are used to inspect various systems like wind turbines, pipelines, and even power lines. They are important devices to such companies. For rescue purposes – they are usually common in inspecting certain situations like firefighting and floods to determine the amount of damage and the level of intensity of the occurrence. For mapping – drones are important devices when it comes to surveying and taking gigs. They are used in agriculture and photogrammetry. For delivery services – some drones especially the large ones are used to deliver some cargos. Of course, this is a more environmentally friendly means of transport compared to vehicles and definitely, it is safer. For aerial video and photography – this is the most common use of these devices. As it has been discussed above, they are fitted with HD camera to make this possible. Many singers are shooting their videos using drones in our time. For research and surveillance – it has become a crucial tool to police especially when monitoring the intensity of protests and various political events. When it comes to science, they have been used to record natural occurrences like to monitor volcanic eruptions and to count some wild animals in a park. They are focused to the flying – they don’t shout of excitement and attract the crowd. They don’t show the world that they bought the coolest drones ever and besides they are the experts. They stay quiet. They always stay calm – you can avoid crashes by simply staying calm and controlling your emotions no matter how exciting and fun the flying is. They wear like pros especially when going to the public – you don’t have to talk to your spectators who may be yelling at your expertise. Answer their questions after you have landed. You can be a pro by just being consistent in your practicing. In addition to expressing your prowess, you should have some knowledge of how the drone operates and some issues that affect your drone. Of course, you don’t want your drone to crash when in the public without knowing what caused the crash. That’s why you need to know the common problems that usually affect drones. Let’s take a glance at them. These problems may reduce or kill your excitement completely if not well fixed when you are flying. 1. 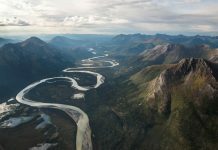 Poor GPS signal picks up – sometimes the drone may be flying between blockages like mountains and the GPS fails to pick signals. When this occurs, ensure you go to some higher ground so that the signal picks. 2. 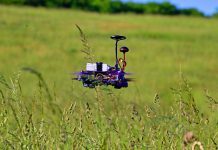 Flying in a wrong direction – this may be because of wrong compass settings and the solution can be pressing the emergency button and let drone land safely to set the compass properly. 3. Propellers being out of frame – when the propellers lean on one side, you should reduce your flight speed and adjust your camera properly. 4. 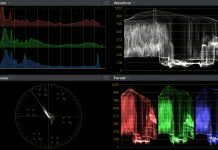 Poor screen transmission – this may be caused by long distances and other interference problems. Ensure you fly in a region where your drone can do the transmission properly. 5. Battery issues – these devices usually experience battery problems when overcharged. Ensure you have a spare battery to avoid overcharging one. Having known all that affects a drone and their problems, you need to know how to maintain and care for that device. You don’t want your $200 go down the drain yet you can prolong the lifetime of your drone. So let’s see how you can maintain your device. This is a one-time investment which requires you to take some measures to ensure it is always functional all the time. Maintaining your drone is critical in enhancing the function of your battery, motors, camera, controllers, and gimbals. Here are ways to maintain your precious device. Always check your drone before flying – check for any damage, compass set, battery power, and other factors. Don’t overcharge your battery – ensure you charge at room temperature, let the battery cool before you charge them, don’t drain the battery and always remove the battery when not flying. Get propeller guards and lubricate any movable area. Keep a clean track of the number of hours you have flown and always keep to laws set by the authorities. The world is becoming more technologically literate and the drone is one way to spice in technology in various activities that we undertake daily. 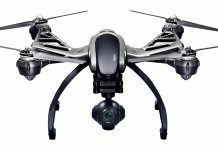 With the above 5 best drones under $200, you can have maximum joy and achieve your aim. Nevertheless, you need to observe the various laws and rules to avoid collision with FAA. Maintaining and taking care of your drone will ensure that you save your money and time and of course to get the value for your money.